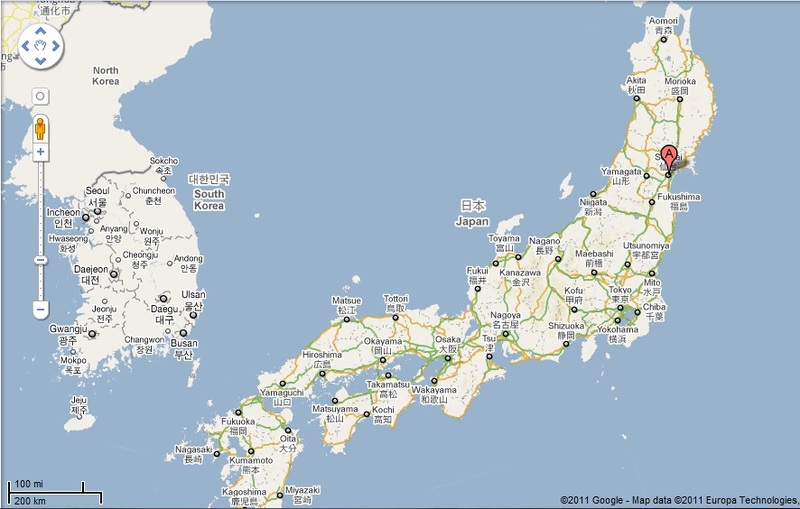 At 2:46pm local time on March 11, 2011, a magnitude 8.9 earthquake hit 80 miles east of Sendai. This quake was, according to some sources, the 5th strongest quake worldwide since 1900. Even at 80 miles out from Sendai, the shockwaves are very powerful. Thanks to years and years of engineering advances, many buildings in Japan can stand through powerful quakes, though the furniture and anything inside may not. Much of the danger from this quake, though, is the tsunami, an unrelenting press of water. As I write this, the death toll is at 60 and is likely to keep going up. Flashback, 1994. I had just arrived in Japan, still suffering the effects of jet lag after a couple of days. In the middle of the night, I'm awoken. In the darkness, I can see the shadow of my wardrobe gently swaying and feel my bed shift back and forth beneath me. In my half-waking, half-sleeping state, my first thought is that there are a whole bunch of people on either side of the building, pushing it back and forth. Gradually, my mind wakes up and puts the pieces together: earthquake. It was my very first. Quite minor and not anything to worry about. Jumping forward a few months, I'm teaching a private English lesson. We're on the second floor of a small wooden building, getting ready to start. The owner of the school brings coffee out as my student, a middle-aged businessman, arrives and we chit chat a bit. I notice my chair start to shift a little, and the coffee starts to slosh, barely noticeably, in the cups. Before long, the building is swaying back and forth and we're all standing in doorways. The tremor only lasts a few minutes, but it was the strongest I've personally experienced. On the Japanese scale, it was shindo 3. Enough to be scary, but not enough to cause damage. Jump forward again. January 17, 1995. 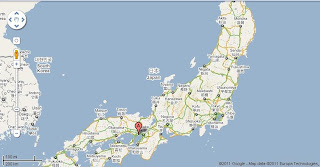 Miles and miles to the south, a shindo 7 earthquake (magnitude 6.9) hits the Kobe area. 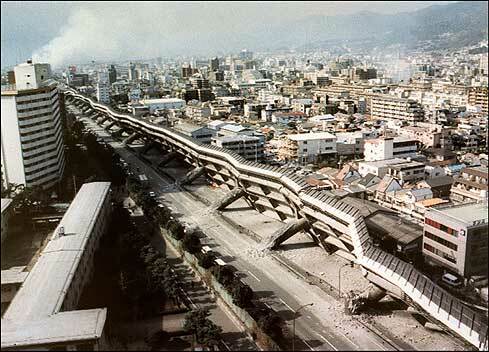 The Great Hanshin Earthquake devastated the region. I got a lot of calls and letters from friends and family, asking if I was all right. I assured everyone I was fine and that I didn't feel anything, but my thoughts were with all of those affected by the quake and its aftershocks. The Hanshin Expressway, a large, elevated highway connecting Kobe, Osaka and Kyoto, had been designed to withstand a major earthquakes. Although the road itself did not break up, the supports broke, sending the whole structure toppling to the side. Over 200,000 buildings were either damaged or destroyed, and more than 6,000 people lost their lives. The quake struck at 5:46 am, before rush hour. Had it been only a little later, the death toll could have been much, much higher. 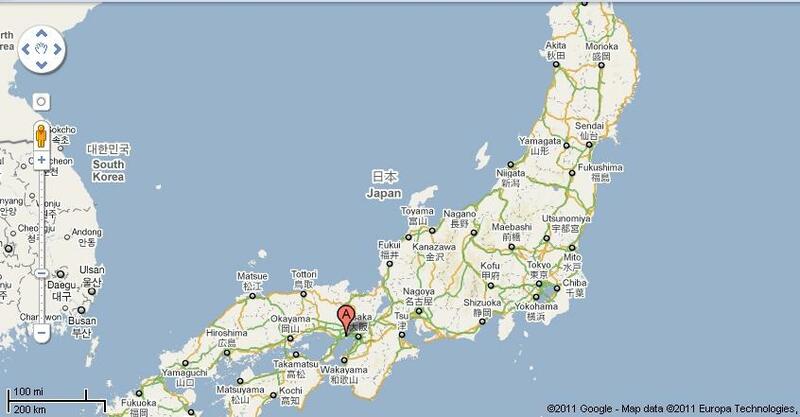 That was the largest quake in Japan since the 1923 Great Kanto Earthquake that devastated the Tokyo region. Then, later in 1995, a quake hit the Sendai area, the same region affected by the most recent quake. Though not as powerful as the Hanshin quake, it was enough to damage older buildings, including a hospital, if memory serves. Two floors in the middle of the building collapsed. Thankfully, no one was on those floors. All of these memories and experiences make this 8.9 earthquake all the more personal to me. Add in that some friends from college (unfortunately, we've been out of touch for a long time) were from the Sendai area, and I need to struggle to keep things in check, to keep calm. I hope that they and their families are okay. I fear, but I hope. Addendum: Skepchick and Bad Astronomy both have posts up listing ways you can help the victims of this quake. Info on charitable giving after a disaster also available from the U.S. Internal Revenue Service. If you are looking for someone who was in the area or have information about someone affected by the quake, Google has a People Finder application to assist you in your search.